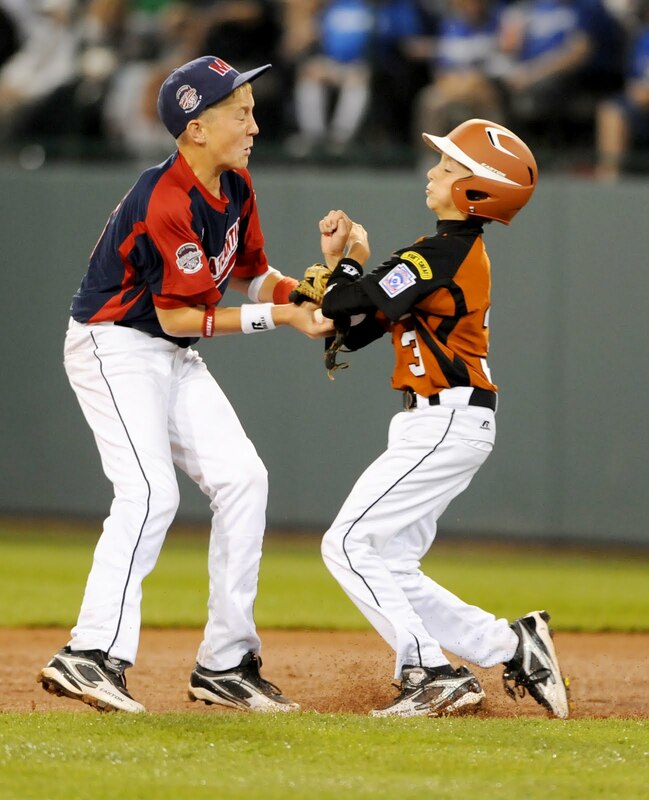 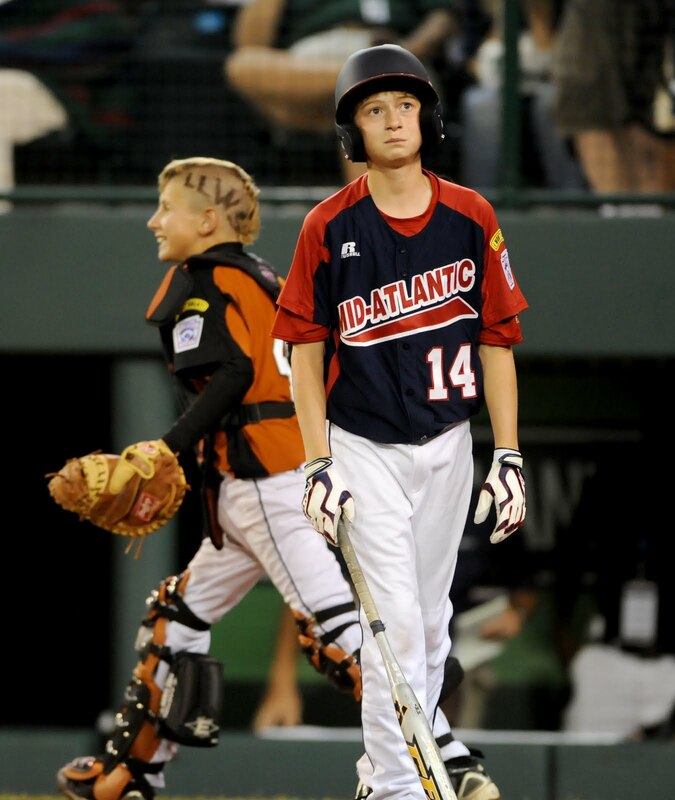 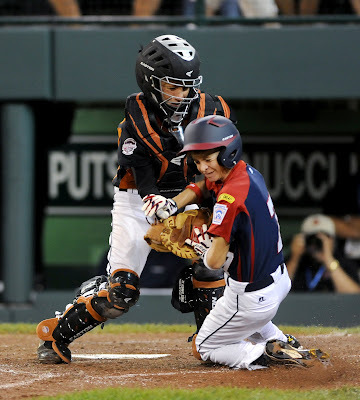 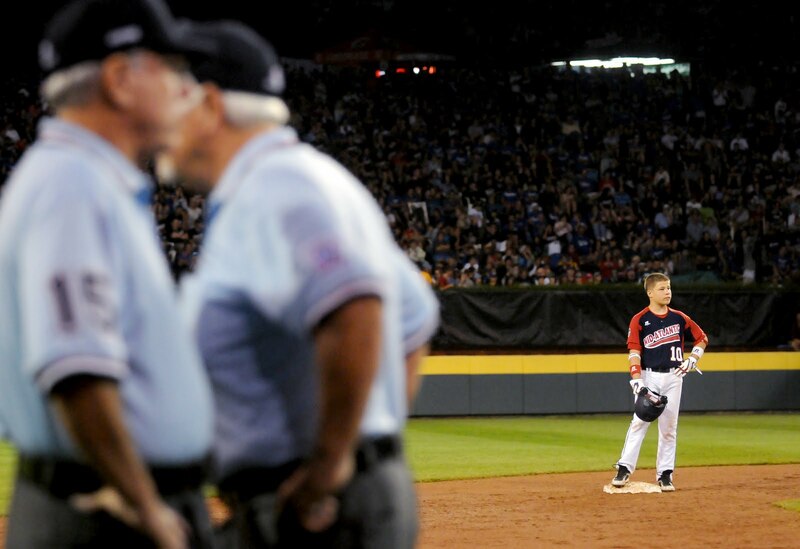 A team that falls right on the edge of our coverage area has made it to the Little League World Series. 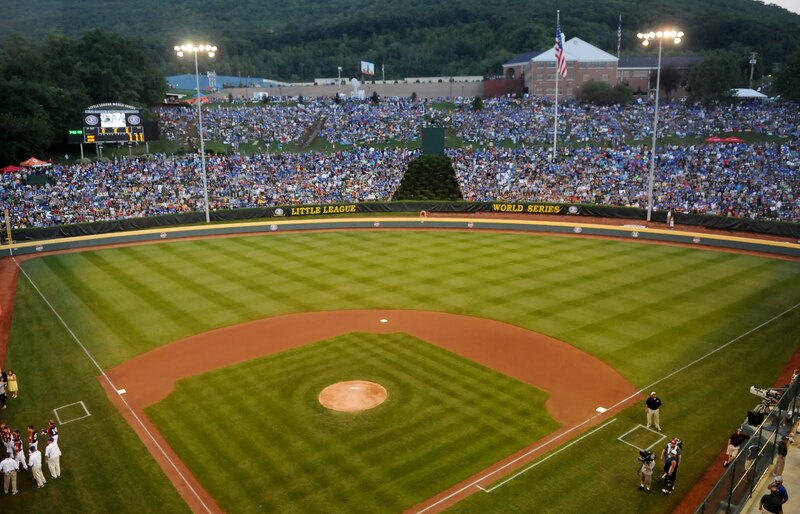 I've never paid much attention to the LLWS, but I have been sucked in, along with the record breaking 45,000 other people that attended the first game the team played in in South Williamsport. 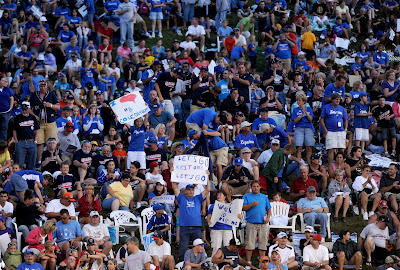 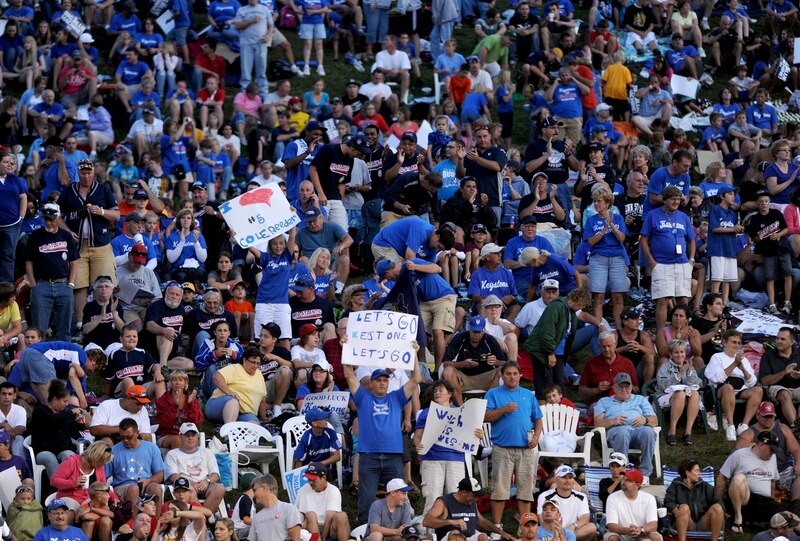 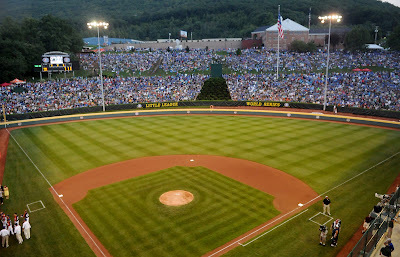 Lamade Stadium before the start of the game that broke the Little League World Series attendance record. 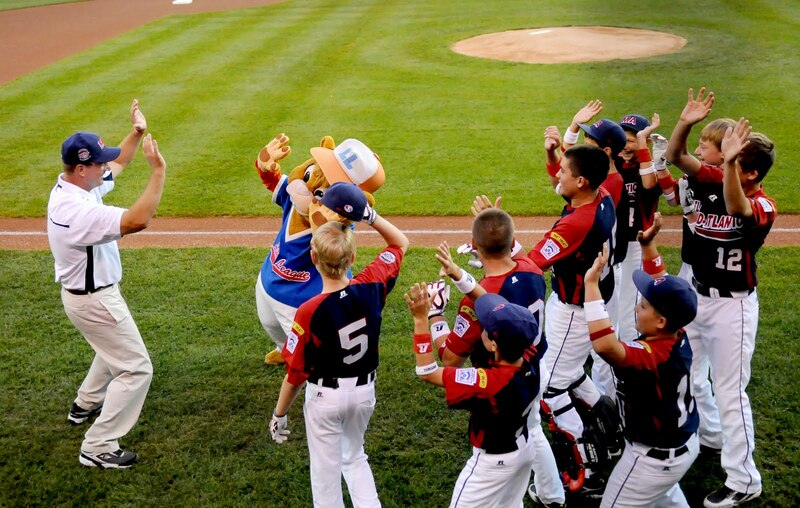 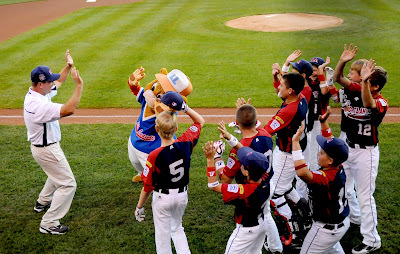 ESPN airs all the games, and needs fun things to show to lead to their commercial breaks, hence the team, even the coach, dancing with LLWS mascot, Dugout. 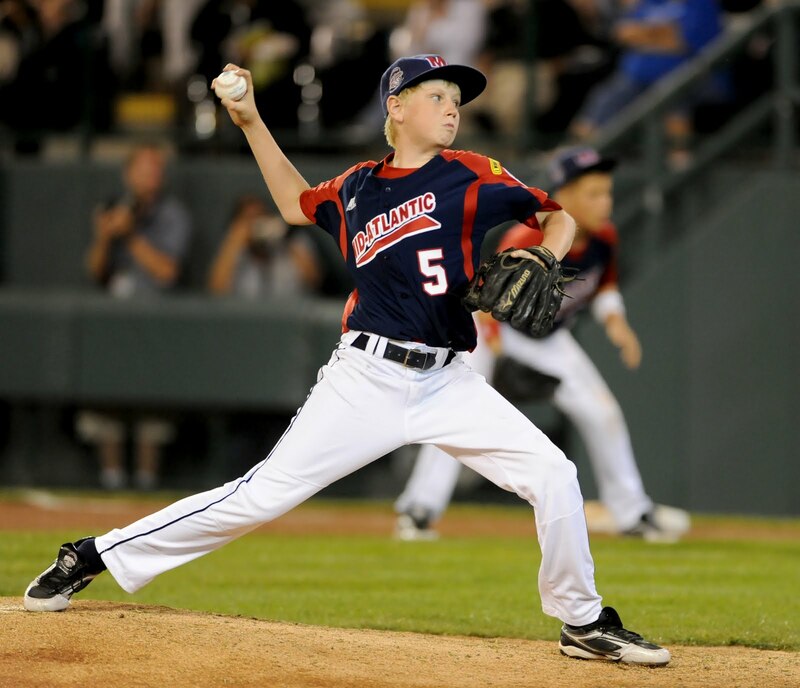 Great Lakes pitcher, said to be the best pitcher in the tournament. Waiting for the ruling if his double was a foul or fair ball. 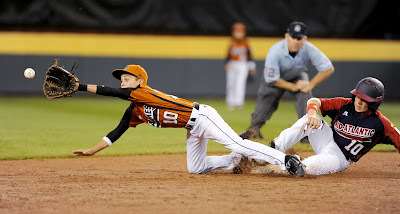 After being ruled foul, and batting again, Miller safely slides into second. 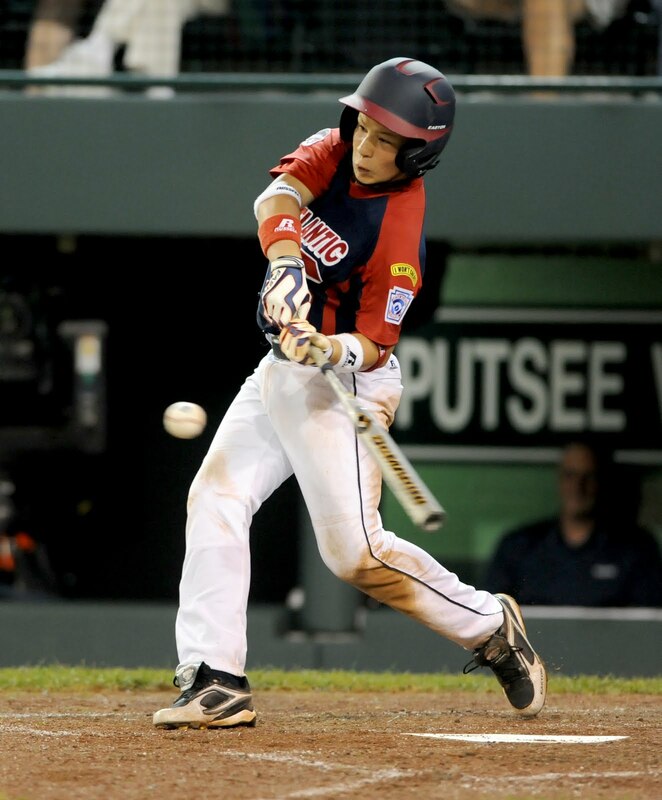 The team unfortunately lost their first game in the tournament, 1-0, but still have a chance at the National title.